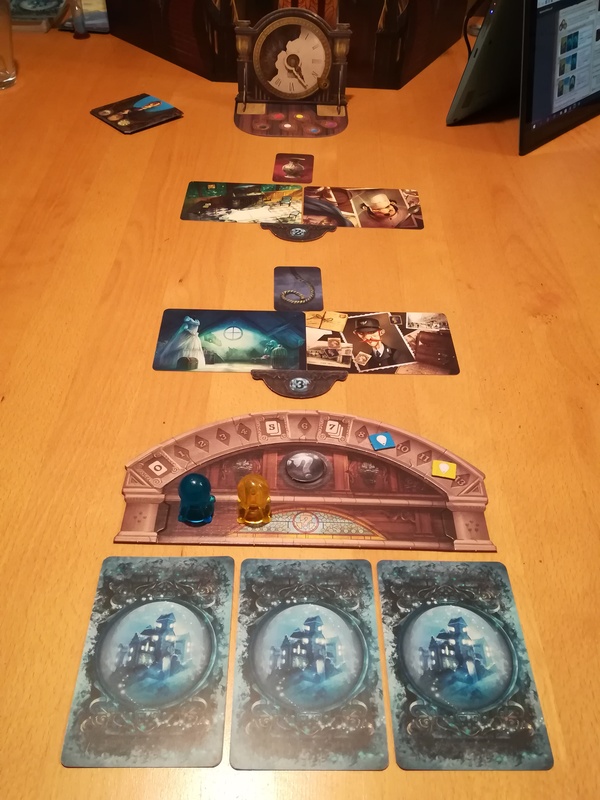 I have to say I’m quite pleased that I actually managed to get up the Mysterium post last month (even if I was cutting it a little fine in terms of date!). Summer is always a difficult time when one is busy playing in the sun and having holidays, so I feel like maybe I’m off to a good start. So in keeping with that I’ll now announce the game for this month – Dragonology: The Game. This is a bit more of a kids game than our last posts, but is nonetheless a really fun one. Hopefully you’ll enjoy the upcoming review! I hope you’ve been exercising your psychic abilities! Having been absent from the blog for so long I think I’ve found a great game to mark our comeback! 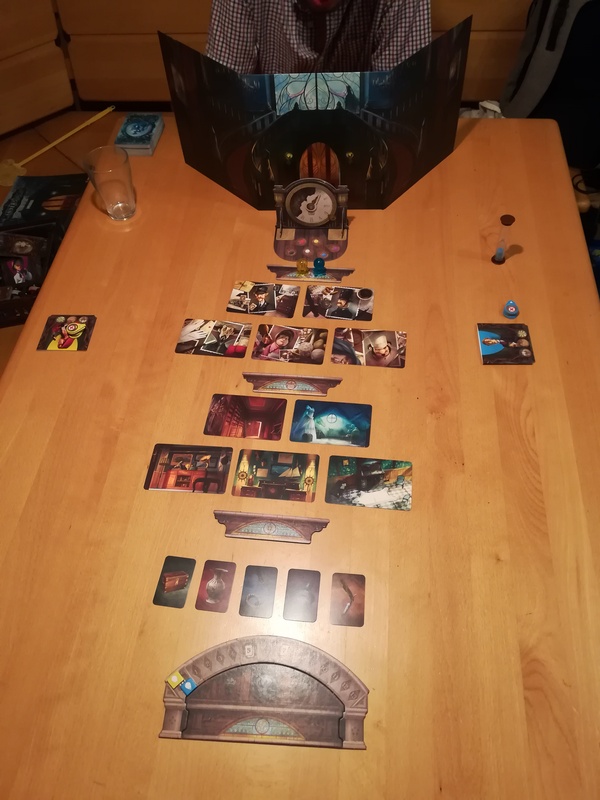 Mysterium is a relatively new game and bears a few similarities (and many differences) to Clue or Cluedo (depending on where you’re from or which edition of the game you have). The similarities are that you have to determine a murderer, a location and a weapon from a group of options and guess correctly to win the game. Differences are pretty much everything else. You play as a group of psychics called to the house by its new owner, Mr MacDowell, who has sensed the presence of a ghost and wishes to set it free. The game is cooperative, meaning that all players win, or lose, together. Special apologies made for the complete randomness and, in fact, quite terrible arrangement of this photo. It will be replaced by a better one as soon as time allows. Before the game begins there is a certain amount of setting up that needs to be done. Firstly, players should decide who’s going to play as the ghost. That individual then sits behind the Game Screen at one end of the table and the other players, now playing as the psychics, should gather around the other end. It’s important that none of the psychics can see behind the Game Screen. Each psychic must choose an identity to play as for the game; the characters each have a brief bio on page 4 of the rule book which will help you choose (or, as I do it, you can just pick your favourite colour), this will also help you to get into character. They then take the Intuition Token, Clairvoyancy Level Marker, 6 Clairvoyancy Tokens and the Sleeve that correlate to the character they’ve chosen. 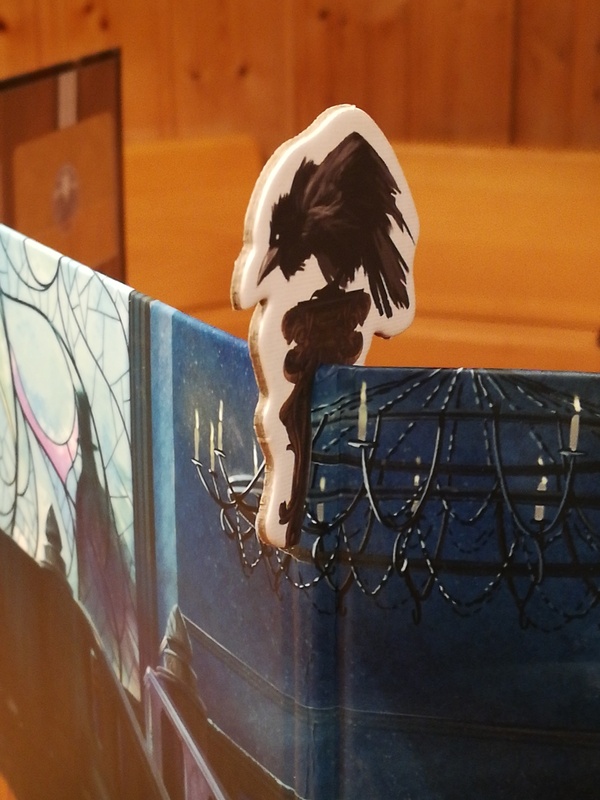 The Ghost Tokens that correspond to the identities chosen by the psychics should also be passed to the ghost and placed behind the Game Screen. 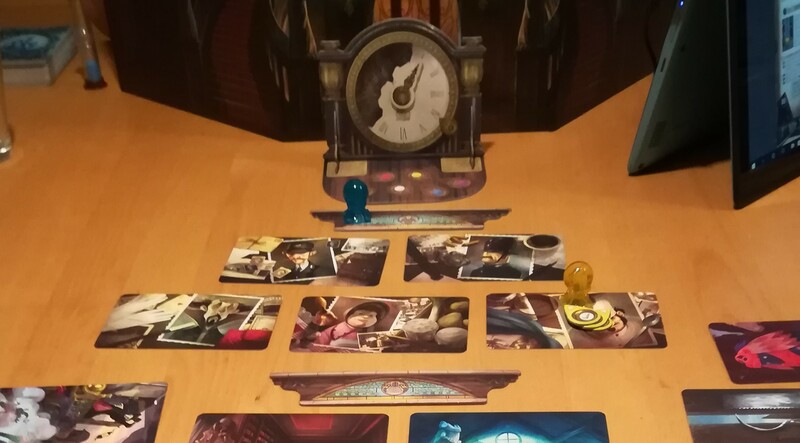 The Clock should be assembled so that it stands upright on its base board; this should then be placed, with the hand on 1, in front of the side of the Game Screen that the psychics can see. The base board of the Clock also serves as the discard area for Clairvoyancy Tokens used throughout the game. After the Clock the Character, Location and Object Progress Boards should be spaced (in that order) down the table away from the ghost, and the Epilogue Progress Board should be placed at the very bottom of the game space. Once this is done we’re ready to draw cards, and then begin the game! Whilst the psychics set up the Clock and Progress Boards it’s good if the ghost organizes him or herself a little behind the Game Screen. Depending on the difficulty level chosen the ghost can take one, two or all three of the Crow Markers. These stay behind the screen simply lying on the table until such time as the ghost chooses to use them. The ghost should also take the Ghost Tokens and place them at the bottom of the columns on the inside of the Game Screen that correspond to the colour of the characters that are in play. Lastly, the ghost should take all of the Vision Cards, shuffle them thoroughly, and place the pile face down on the table inside of the screen. The ghost should then draw a hand of seven from the top of the pile. Next, Suspect, Location and Weapon cards must be chosen for the game. The number drawn of each of these depends on the difficulty level and number of players. In the game shown in the photos in this post, we had only three players, so one ghost and two psychics, and were playing EASY. This means that 5 of each card were drawn during the set-up stage. To set up, separate the psychic and ghost cards into the three categories: Character, Location and Object. Shuffle each pile thoroughly face down. Then draw 5 (or the number indicated if playing with a different number of players, or on a different difficulty setting) Character cards from the psychic pile. Inside of the Game Screen when playing with two psychics. As you can see here, the psychics have also already placed their Clairvoyancy Markers onto the Clairvoyancy Track that sits above the Epilogue Progress Board. This is important to not forget, as the number of points gained by each psychic on this track throughout the game will make a big difference at the end. Lastly! Place the Sand Timer somewhere it can be seen by all psychics, but also reached by the ghost. Once this is done, we’re ready to play! Objective: conduct a successful séance; work together with the other psychics to successfully interpret the visions sent to you by the ghost in order to identify his/her murderer. We are a group of powerful psychics, and as such, possess the ability to communicate with the ghost haunting the house of Mr MacDowell. However, although we can all clearly sense the presence of the ghost, the ghost is unable to communicate with us clearly, and seems to have difficulty remembering the events of his death. The best the ghost can do is send us visions that will help point us to the correct suspect, location and weapon of the murder. We have seven hours in which to discover what happened, or else the ghost is destined to wander the netherworld for another year before we may have another chance to help. It’s important to realise that whilst this is a cooperative game, the ghost has a different suspect, location and weapon for each psychic to find. This means that the visions being sent to the psychics will differ, and the psychics will need to help each other, whilst trying to work out their own clues. The psychics must identify their suspect before the ghost is able to give them visions corresponding to their location, and location must be determined before object. Also important to know is that the ghost is not allowed to communicate with the psychics in any way apart from through the Vision Cards that he or she will distribute throughout the game. At the beginning of each “hour” of the game, the ghost will send visions to each of the psychics. Choosing from the seven Vision Cards he or she has in his or her hand the ghost will try to choose cards that in some way indicate to the player which Suspect, Location or Object they should choose. The Vision Cards can be very obscure, so some creative thinking is required from the psychics. The ghost must give at least one Vision Card to each psychic every round. Even if they think that none of the Vision Cards they have available to them will help. Once the ghost has given Vision Cards to one psychic, they are allowed to draw new ones (to fill their hand to seven) before passing some to the next psychic. Once the ghost has given at least one Vision Card to each of the psychics they should flip over the Sand Timer, giving the psychics two minutes in which to decipher their clues and make a guess. The psychics do not receive Vision Cards in any particular order – the ghost is allowed to choose who to give to first, based on the Vision Cards that they have in front of them. This does mean that the psychic who receives first has a little extra time, as they are allowed to consider their clues as soon as they are received, and do not have to wait for their companions to get theirs. However, as the game is cooperative this can be an advantage to the other player. If the first psychic receives a very clear clue and is sure of the their guess, they are then free the help the others, who may have more challenging visions to work with. Once the sand has run out, each psychic must have placed their Intuition Token onto one of the cards (Character, Location or Object, depending on where you are in the game) in front of them. In this photo you can see that only one psychic has chosen and the Sand Timer has clearly run out. The blue psychic must now immediately make his choice. The ghost will then reveal whether or not each psychic has guessed correctly. However, before that happens, (and actually, this should happen before the Sand Timer runs out) the psychics have a chance to place a bet on their companions. To do this the psychic will take one of their 6 Clairvoyancy Tokens and place it next to an Intuition Token, with either the tick or the cross side facing up. This indicates whether or not their believe the guess is correct. If the ghost reveals the guess to be correct, or incorrect, as indicated by the Clairvoyancy Token, the psychic that placed the Token is allowed to move their Clairvoyancy Marker up the track at the bottom of the board. Clairvoyancy Tokens can only be used once, and must then be discarded to the base board area of the Clock. At this point, if a psychic has successfully deciphered their clues they are allowed to do two things: firstly, they take the Character, Location or Object card that they have discovered, and place it in their Character Sleeve. This is kept for later. Secondly, they move their Intuition Token to the next Progress Board in the game space. NOTE: players move through the game at different speeds. It is completely possible for one psychic to have discerned all three pieces of information given to them by the ghost, whilst other psychics are stuck on the first or second. Once the ghost has revealed whether or not the psychics are correct any psychic who has succeeded discards all Vision Cards given to them by the ghost so far. The other psychics keep their Vision Cards to see if they can find more of a pattern in the next cards that they receive. The Clock strikes eight, meaning that the seven hours of the Séance are up, and the ghost is damned to wander the netherworld for another year. Meaning that the game ends and everyone loses. If a psychic discovers all three of their clues before the Clock strikes eight, he or she should take their Intuition Token and place it on the Epilogue Progress Board. They are then also allowed to move their Clairvoyancy Marker forward on the Clairvoyancy Track the number of hours remaining on the Clock. This psychic is no longer given visions by the ghost, but instead can be more involved in helping the other psychics to catch up. Once all psychics have reached the Epilogue Progress Board any remaining Characters, Locations and Objects not in a Sleeve are returned to the game box, and all Vision Cards are returned to the ghost. Likewise the Character, Location and Object Progress Boards are also removed at this point. By the time the Clock strikes eight all psychics need to have successfully discerned their Character, Location and Objects assigned to them by the ghost. If everyone has achieved this then all players progress to the final stage. Once this is done the psychics reclaim all of their Clairvoyancy Tokens from the Clock Base Board where they have been discarded over the course of the game. We are then ready to move onto our Shared Vision!! At this point a lot hangs on the ghost getting good Vision Cards to pass to the psychics. The ghost is allowed to choose three Vision Cards from his or her hand of seven. If they have a Crow Marker available at this point they are, of course, allowed to use it if they think they have weak cards. The ghost must choose three Vision Cards to present to the psychics in a Shared Vision. One card should indicate the Character, one the Location and one the Object, all from the same group of those laid out on the table by the psychics. We are now ready for the final step in the game. The Straw Poll! It is now more important than ever that the ghost does not communicate in any way with the psychics as they try to interpret the final vision they have been given. Psychics should also not communicate with each other during this stage, as whether or not the game is won or lost is decided by a vote and each psychic must vote alone and secretly. Psychics will also vote at different times depending on the level of clairvoyancy that they have gained throughout the game, as shown on the Clairvoyancy Track. Any psychic with a Clairvoyancy Level of 1-4 will only see the first card of the Shared Vision before s/he has to vote. A psychic with 5-6 will see the first two cards, and a psychic with seven or higher will view all three cards before having to place their vote. Once a psychic has viewed the amount of the Vision Cards that s/he is entitled to they must cast their vote. They do this by taking their Clairvoyancy Tokens, which are numbered on one side, and sliding the one with the number that corresponds to the group that they wish to vote for, into their Sleeve. This is done secretly. Once each psychic has voted it’s time for the truth to be revealed. The Sleeves containing the votes are passed to the psychic with the highest score on the Clairvoyancy Track and that psychic then reveals each vote in turn, placing it onto the group it corresponds with. If there is a clear majority, this group is immediately chosen as the suspect group. If for some reason there’s a tie, it’s broken in favour of the group the psychic with the furthest progress on the Clairvoyancy Track has chosen. Now it’s time to flip the Culprit Token. If the number on the Culprit Token matches the group selected to be the suspect group then the psychics have won and the ghost can rest in peace knowing that his/her murder has been solved. If, however, the psychics are wrong, everyone loses and the ghost is damned to haunt the house for at least another year before a fresh attempt can be made to help them. This is an odd game, in that I don’t think there’s very much that can be said by way of strategy. It’s mostly guess work and trying to think like the ghost. I believe the best piece of advice that can be given regarding strategy is that if one psychic seems to get the ghost, i.e. interpret all the Vision Cards they’re given easily and correctly, then trust that psychic to help you with your own visions as you’ll most likely progress through the game quicker in this way. Other than that I don’t know how much strategy really comes into this game. It’s more about observation and communication than anything else. NOTE: as we often say in these posts, we played the game wrong at least twice before really getting it. Initially we thought that the Clairvoyancy Tokens could be used as much as possible, and a few other things, and since then, more thorough re-readings of the rules have shown us how wrong we were. I realize I’m stretching this list a little thin, but there’s not much history to be found for this. Sorry! 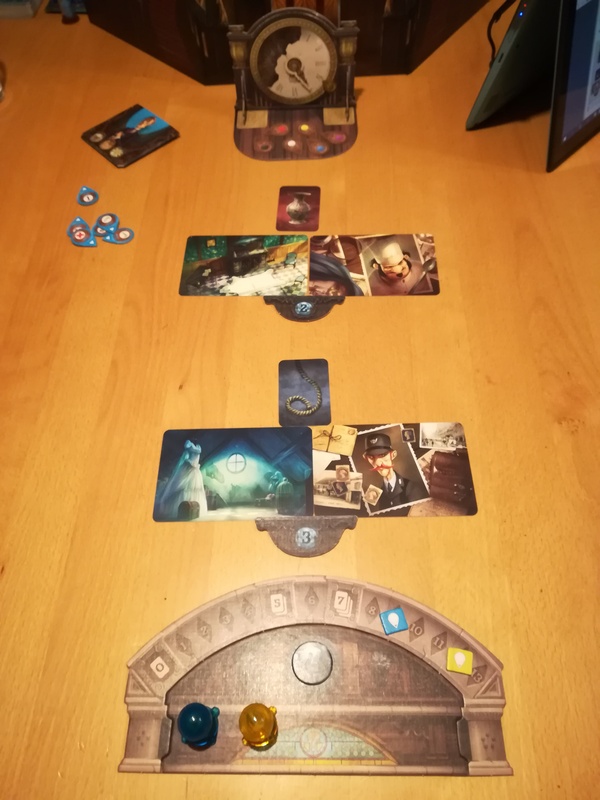 I think Mysterium is a really good, co-operative, family friendly game that all ages (from the recommended 8+) can enjoy together. Once played through once or twice you’ll find you have a good grasp of it. On top of that the game itself has been well manufactured. The cards have interesting and detailed graphics and the Vision Cards that the ghost has have many different ways that they can be interpreted due to the complexity of some of the images. I’ve only rated it 3.5 at the beginning of the post because I feel that although the game is highly enjoyable i believe it’s lacking in something not really identifiable that pulls you in. I found that whilst playing other, different, co-op games I was much more engrossed in the actual game. Take Pandemic as an example, I realize that the games are very different, but when playing Pandemic I feel completely absorbed in the game. 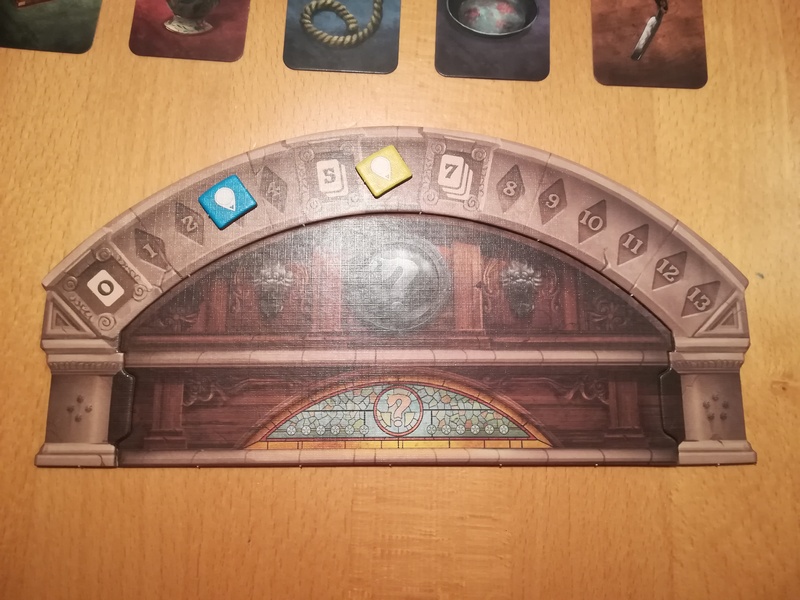 Unfortunately I didn’t quite get the same feeling with Mysterium which is what accounts for a slightly lower rating than I would otherwise have given it. 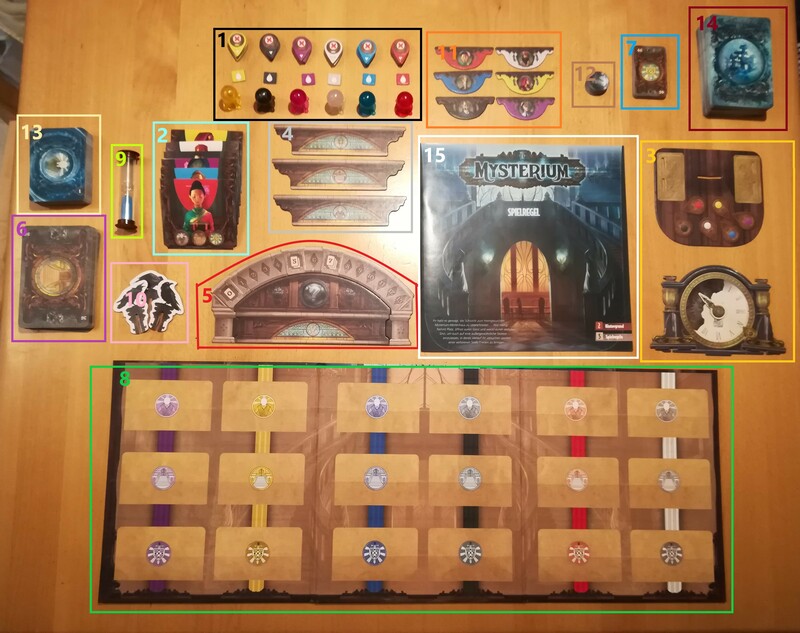 Also, although the box itself is not badly designed, it does have a few spaces where there could be obvious improvement in the way the game components are stored. In spite of that, I would still highly recommend this game to anyone who enjoys co-operative games, or who really liked Clue. I hope you enjoyed our comeback post and will look out for our next game! If anyone out there is still reading or looking at this blog, then this update would be directed at you. I realized that since my last update post I have failed completely at everything I wanted to achieve for the blog. Dave and I even talked about taking it down since neither or us were writing on it. However, as the blog represents two years of hard work together, as well as a little over one year of me writing alone with Dave doing administrative and maintenance work, we decided that we’d keep it if only for the fact that we don’t want to lose the record of the work we put in. I had hoped that last year would be a good blog year, but suffice it to say, I had a very difficult year for a mixture of reasons and it simply didn’t happen. HOWEVER! I have a new plan. My new aim is to post once a month on a game not reviewed here before and at the same time try to research into old games and so on so that every so often I can put up a slightly different post. I’m not going to make an official timeline or impose any strict deadlines upon myself, because I think that’s a sure way to fail. But I am going to try and refresh the blog a bit over the next two-three months, because I really miss writing on it and playing lots of board games. To try and post as regularly as I can, even if it means sitting in Starbucks for five hours writing posts. Well, I haven’t been to Starbucks, I will admit, but that’s only because there isn’t one near where I live now, and it’s very cold outside. But! I have achieved regular posting even if I haven’t achieved the desired every Sunday for Catan posts and Wednesdays for other stuff. 2. To follow through on all my plans for the year at least long enough to see if they’re worth making a permanent feature. I’ve done okay at this one. 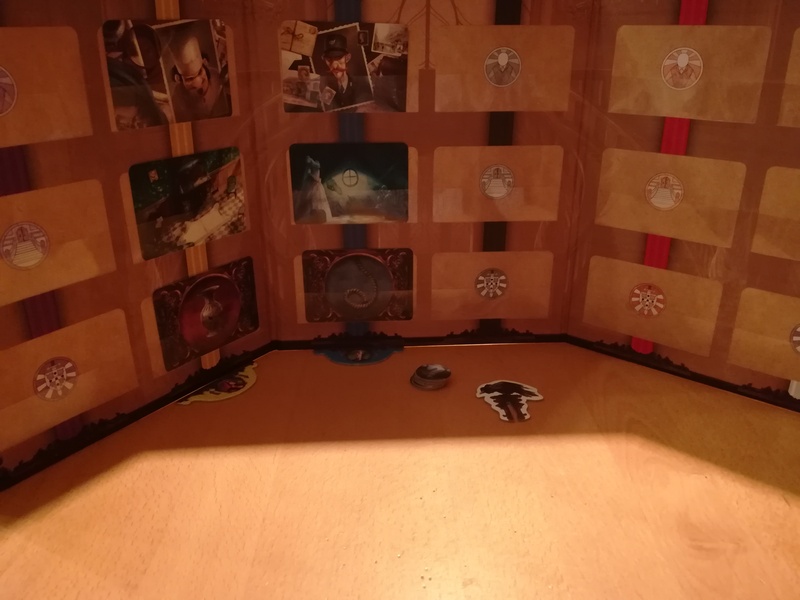 I’ve achieved two posts for the Games You Can Make At Home series, and one Catan post, so that’s one new thing and the theme both present there! However…. I haven’t managed to research any games. Things have been busy round here and my internet access is rubbish at the moment. But I’m getting proper Wifi on the 6th, so I should be able to pick things up then! Other update news…. The next game in line with #Discworldathon is Guards! Guards! which will (fingers crossed) be going up in the middle of the month. The re-readathon for that is being hosted by A Novel Haul here on WordPress and also Twitter with the handle @anovelhaul. So feel free to follow up on what she’s up to with the re-readathon. That’s everything for now, if we’re lucky I’ll get a post up on Sunday, we’ll have to see. So! It’s the end of January, which is In The Beginning for the Discworldathon! Discussions and the reading of Wyrd Sisters have been going on all month on Bex’s blog anarmchairbythesea and the proclaimed Discworld game for this month is Ankh-Morpork. This game was chosen for this month because the city of Ankh-Morpork features in nearly all of the Discworld novel, and it usually still manages to sneak a mention in those it’s not featured in. So that’s the proud city of Ankh-Morpork. A full review of the game has already been published on this blog, and can be read here. But to sum it up, the game is a power struggled between Lord Selachii, Lord Rust, Lord de Worde, Commander Vimes, Dragon King of Arms, Chrysoprase and Lord Vetinari. All players draw a personality secretly at the beginning of the game and then have to meet the objectives stated on the card to win. The game is brilliant in many ways, but mostly because for those who are familiar with the city and it’s inhabitants it is so well constructed. Every card that you play can be identified as a character from one of the books, with the uses of the card being dependent on the personality of that character. In the books Havelock Vetinari always comes out on top. Even if no one knew that he was in the running. And the game reflects that by stating that the state of the city has been induced by the disappearance of Lord Vetinari. The game itself is those in a position of power in the city attempting to seize control whilst the opportunity is there. Commonly the character of Commander Vimes wins the game, as all he has to do is balance the board, preventing other characters from gaining too much control or money, or making too much trouble, until the cards run out. As Lord Vetinari is one of the personalities available to the game players it’s clear that he has vanished entirely on his own terms and has some kind of long-term plan. Or maybe he just wanted a holiday, who knows? Sir Terry Pratchett, the amazing creator of the Discworld series (among other things) has the same fail-safe clause for the end of several of his games. It’s partly what makes the games so brilliant. In every Terry Pratchett game it’s possible for any of the game players to win, but in Ankh-Morpork, Guards! Guards!, and Witches if certain conditions are met, then the game ends and nobody wins. Which is fantastic, because it almost adds a cooperative edge to game play as everyone wants to win individually, but definitely none of you want to lose to the game! I will admit that I’m slightly at a loss as for what to write now. I’ve summed up the game and a bit about the books, and to be honest, I really think that the city of Ankh-Morpork is too big of a feature in the series of the Discworld to be really described or talked about without me insisting that anyone reading this post goes away immediately to read every Discworld book so as to fully understand the enormity of detail in which the city has been described and personified and used a backdrop for all sorts of events. To tie in with what the re-readathoners have been discussing over on Goodreads, the city of Ankh-Morpork features shortly in Wyrd Sisters, the novel that’s been the subject of this month. Anyone who’s read the book will know that Wyrd Sisters is a very entertaining, silly, and just all-round highly enjoyable version of Shakespeare’s Macbeth. Featuring a Duke who murders his cousin, the King, so that he can be king and then goes mad. There are some differences, obviously, between Shakespeare’s tragedy and Terry Pratchett’s hilarious novel. But the story can be seen there nonetheless. Ankh-Morpork features in the novel as the place where the rightful heir to the throne is living with the acting troupe he was adopted by as a baby. This troupe is hired by the court Fool to perform a play for the Duke portraying him favorably, and the witches, Granny Weatherwax, Nanny Ogg and Magrat Garlick badly so that the witches will lose their power and the people will like him. The brief featuring of Ankh-Morpork is funny in this novel as the Fool is robbed when he enters the city. The thief performing the robbery expected him only to be carrying a few dollars, but instead he was carrying a vast amount of money given to him by the Duke to employ the acting troupe. The thief then freaks out because according to Guild law he’s not allowed to rob more than a certain amount off of one person. Tomjon, heir to the throne, steps in and resolves the situation. Although it’s a very brief appearance made it holds true to the way the city is, Ankh-Morpork, the city where there is a Guild for everything. That about wraps us up for this game and this month! I intend to have next month’s post Guards! Guards! up by the middle of the month, rather than the second-last day! I hope this post has been informative, and you’re now burning with the desire to read Discworld novels for the rest of the year. Was the island of Catan, and on that island small groups of people settled and expanded, becoming farmers, miners, shepherds and lumberjacks. However, the island proved to be too small to sustain multiple civilizations, so some of the people took to the seas to find new places to settle, and they became known as the Seafarers of Catan! Seafarers is obviously set over multiple islands, so each colour player is provided with 15 ships of their colour, which can be built by spending one sheep and one wood resource cards on your turn, and can then be used to travel to new places. In addition to those the expansion also includes a large number of sea hexes and extra sea edge pieces to make the board bigger. Because several islands are involved in playing this game there are extra Catan Chits, with numbers on them to produce resources. There is also the new resource of gold, which allows a player who has a settlement built on one to claim one resource of their choice every time its number is rolled. In original Catan each settlement gains a player one victory point, and a city is worth two. In Seafarers you get a bonus victory point for the first settlement you build that’s not on your original island, which is quite exciting. There are a few additional tiles that you put underneath such settlements so you don’t forget those points. Lastly, in addition to the robber who lives in the desert, there is now also a pirate ship, which, obviously, lives in the sea. As you can see from the above pictures, the way players begin the game is exactly the same as in the original Catan game, each player starts with 2 settlements, each with a road attached, and takes resources from one of those settlements to begin the game. A players turn is exactly the same as in the original game; you roll the dice to claim resources (being wary of 7, which I’ll explain the differences of in a minute), then you build roads/settlements/cities/ships or development cards or trade for resources with other players and play development cards, and then you pass the dice to the next player, ending your turn. Rolling seven is the same as in the original Catan in that the player who rolls seven gets to move the robber, and can take a resource from any player effected by where they move it to. Additionally any player with seven or more cards in their hand still has to discard half of them (the lesser half in the case of an odd number, i.e. if I have 9 cards with a seven is rolled I must discard 4). In the Seafarers version of Catan the player who rolls the seven has the choice of moving either the robber, or the pirate ship. The pirate ship works slightly differently to the robber – the robber prevents resources from being harvested in the hex it’s on, but doesn’t do anything else. The pirate ship however has to stay in the sea, and so, instead of preventing resource production, it prevents a player from building new ships that would sit on any of the sides of the hex it’s on. As you can see, in this picture the pirate ship has been moved onto a hex that the orange player (me) is currently trying to sail through. However, until the the pirate ship was moved I could not build any more ships there. Game play proceeds in the normal way; each player tries to build settlements, roads, cities and development cards in order to collect the required number of Victory Points – in this edition 13 – to win the game. The winning player is the first to reach 13 Victory Points and the game ends immediately when that happens. I would say that getting to the coast is key in this game; with the addition of ships the possibility to extend your road is literally doubled and the extra Victory Points gained both from having the longest road, and from building settlements on new islands are valuable. The winning player when we played had a combination of luck (good dice rolls gaining him lots of resources), settlements upgraded to cities, the longest road, development card Victory Points and settlements on a new island – so literally every possibility in the game! Also, if one player is in a much better position to win than the others, feel free to make an agreement with the other players to not trade any resources with them, there’s no shame in sabotaging someone else’s chances to further your own cause! This expansion is, in my opinion, worth buying, as gives that little bit extra to the basic game, making it more interesting. This game also has many different scenarios, some of which I may write short reviews of over the coming year, which gives it more diversity than the original version, which can be altered, but not drastically. I recommend this game as an excellent family game, and good for both board game nerds and board game likers who aren’t ready for anything more intense. The smug face of the winning player.